SINGAPORE – A heartwarming musical about a spunky young girl is not the type of project one would typically associate with Australian composer- comedian Tim Minchin – known for his raunchy comedy and acerbic wit. 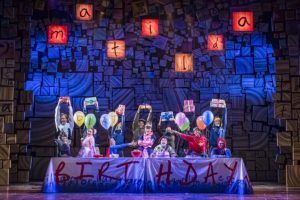 Indeed, Minchin himself admits the Royal Shakespeare Company (RSC) took a risk when it commissioned him in 2009 to write the songs and lyrics for Matilda The Musical, based on Roald Dahl’s beloved children’s book. But it was a good risk, he says in a telephone interview from Sydney. “The reason Dahl is so well-loved is because he has this dark, funny and slightly anarchic and iconoclastic tone. The reason the musical’s done so well, I think, is because Dennis and I have managed to not ruin it, you know? We’ve managed to capture something of that tone,” says Minchin, 43, referring to Dennis Kelly, who wrote the stage adaptation. Kelly, too, is known more for his adult-themed works. The award-winning musical will make its Singapore debut on Feb 21 and will run until March 17 at Marina Bay Sands, after a run in the South African cities Johannesburg and Cape Town last year. 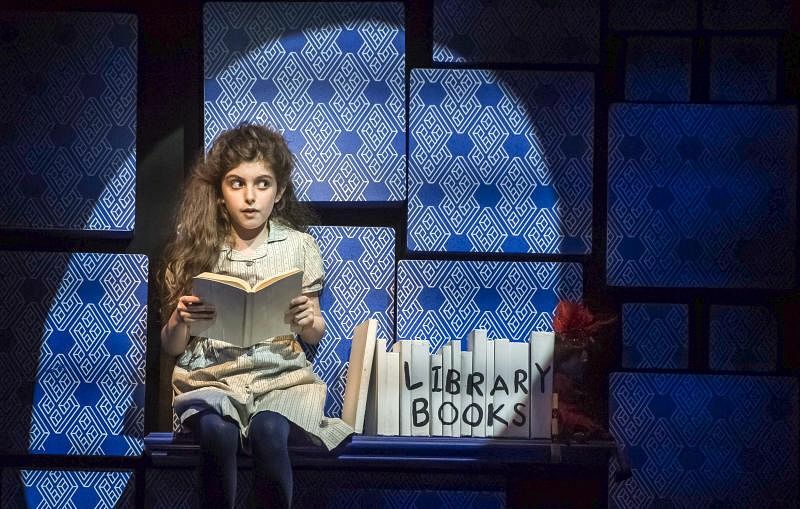 The story centres on Matilda, a precocious five-year-old who loves to read. Her parents are obsessed with television and her headmistress is a bullying, child-tossing tyrant. Matilda later discovers that she has the power of telekinesis – the ability to move objects with her mind – and, with the help of her kindly teacher, succeeds in standing up to the big bully. 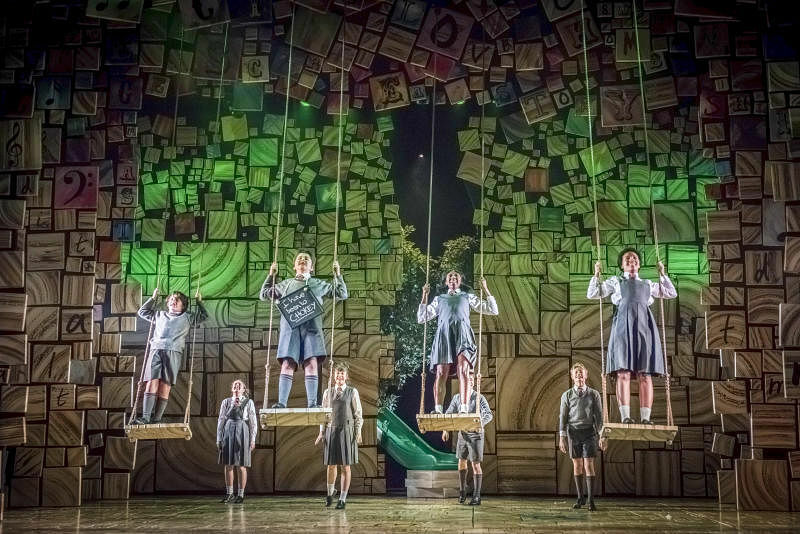 The production, whose set and costumes were designed by Rob Howell, features massive swings, classroom desks that rise through trapdoors and alphabet blocks spelling hidden words. “It’s magical. It’s a world we can relate to, but it’s also not the world we live in – thank god,” says resident director Natalie Gilhome. The show will be the same as the ones in West End and Broadway, she adds, save for behind-the-scenes tweaks to the set to make it easier to transport. The song When I Grow Up, for example, is a song of hope to children because the young cast members sing about waking up with the sun and climbing tall trees when they are bigger. But for adults, it is a song tinged with regret and wistfulness. “It’s about how hard it is as an adult and how we forget about what we cared about when we were kids,” says Minchin. 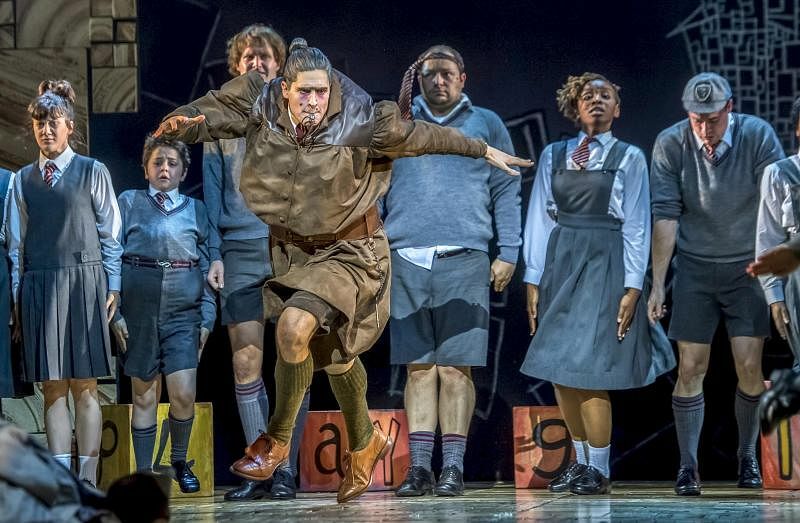 The bullying headmistress of Crunchem Hall Elementary, Miss Trunchbull, is played by 26-year-old South African actor Ryan de Villiers, who spends about 11/2 hours before each show putting on layers of make-up, a wig held in place with “a hundred hairpins”, fake moles and a fat suit. Miss Trunchbull, he suggests, has similarities with leaders on the world stage, such as United States President Donald Trump. Minchin, however, feels Matilda’s mother, Mrs Wormwood, is the “Donald Trump of the musical”. “In the song Loud, she sings about how being loud is the most important thing and it doesn’t matter what your ideas are as long as you present them loudly,” says Minchin. The musical’s enduring themes are one of the reasons it has enjoyed such long-running success, he adds. “It’s about standing up for what’s right and making sure you care for one another.” He adds that it is also about intellectualism because Matilda’s superpower is really her knowledge. Since its premiere at the RSC’s The Courtyard Theatre in Stratford-upon-Avon in November 2010, the musical has played in the West End, Broadway and countries such as the Philippines and Australia.